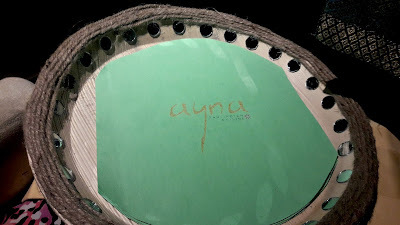 At Ayna, the napkins had been folded into little boats and that was in sync with our reason for being there - a food festival titled "Coast of Malabar". Ayna is, of course, the pan-Indian restaurant at the Hilton, Chennai. 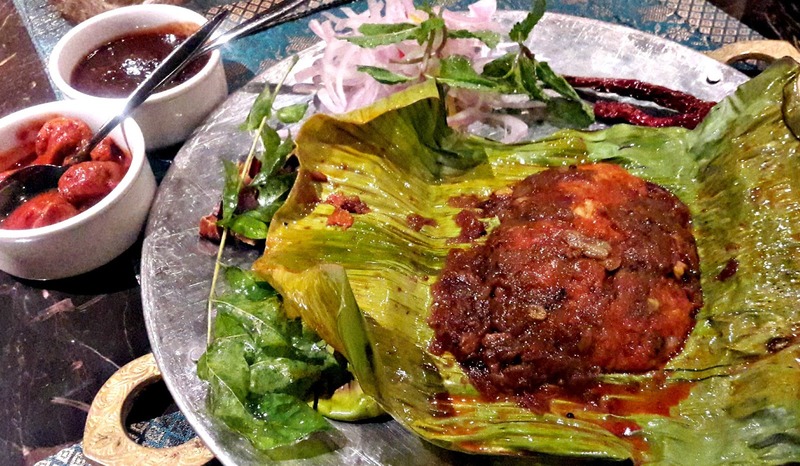 Moplah cuisine is what the region is most famous and of course, Tellicherry biryani needs no introduction. 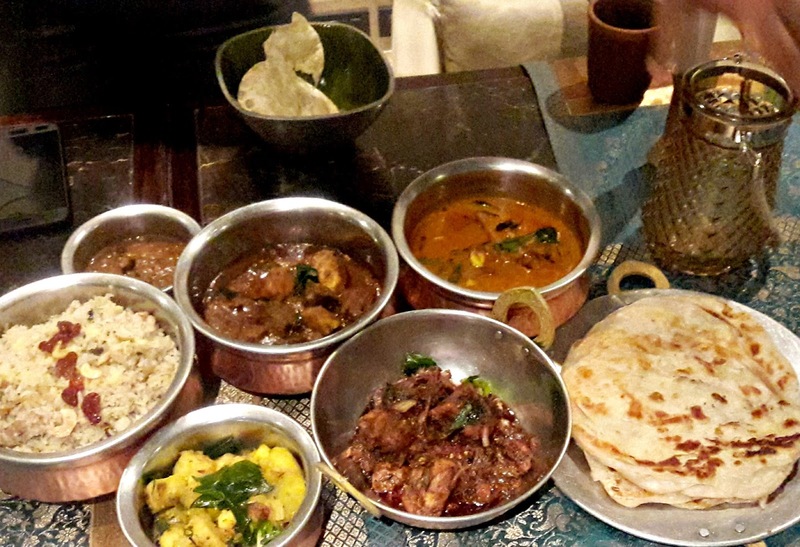 Spices, chillies, tamarind, pepper and coconut are integral to the flavour of Malabar food. All we ate that evening was redolent in these ingredients. 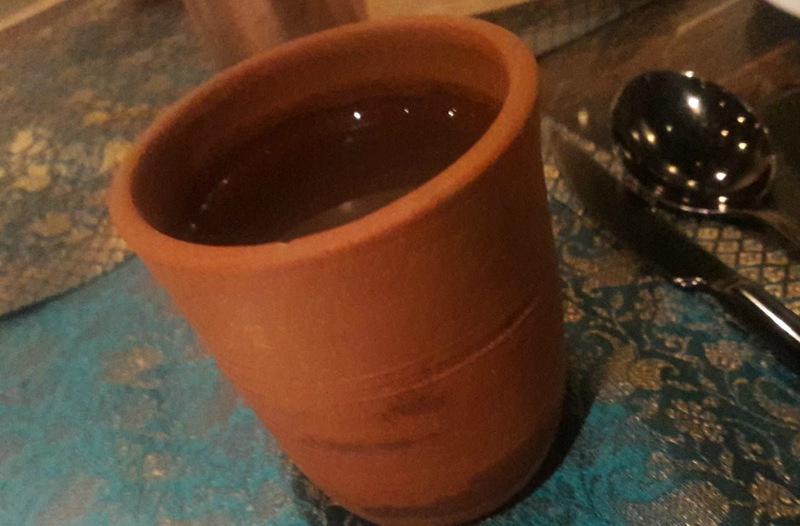 Thirst-quenching tender coconut water was served in mud glasses. 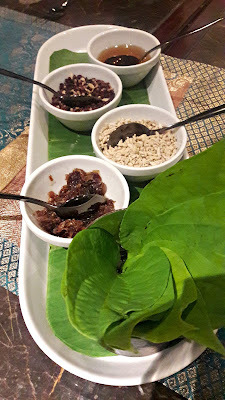 The table had been laid with little brass containers that held pappadams, potato and jackfruit chips and jaggery coated banana chips that signified the start of a traditional Kerala meal. 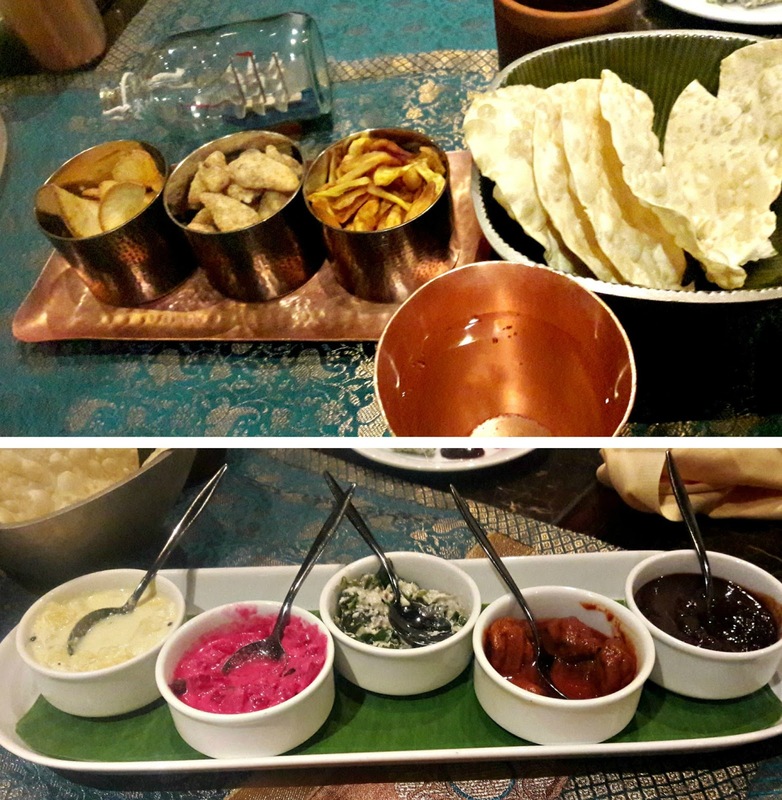 On another tray, there were pachadis - cooked vegetables mixed in yoghurt, a tamarind chutney and tender mango pickle. No meal in Kerala is complete without these elements. 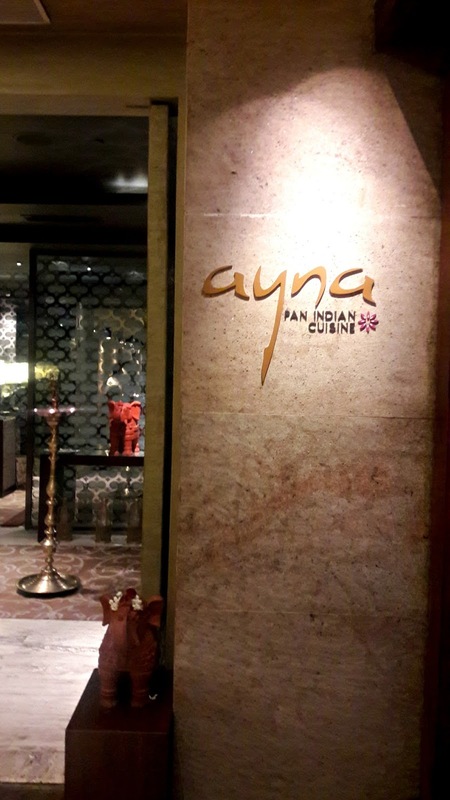 Chef Anuj Mathur, Sous Chef at Ayna has done a lot of research on the cuisine. One of the starters is the Syrian beef fry, a slightly different version from the one made further South. The Malabar duck roast was dark and heavy with spices. This was a delicious boneless version but even though the spice coating on the cubes of meat was thick, the slightly fishy taste eventually came through. 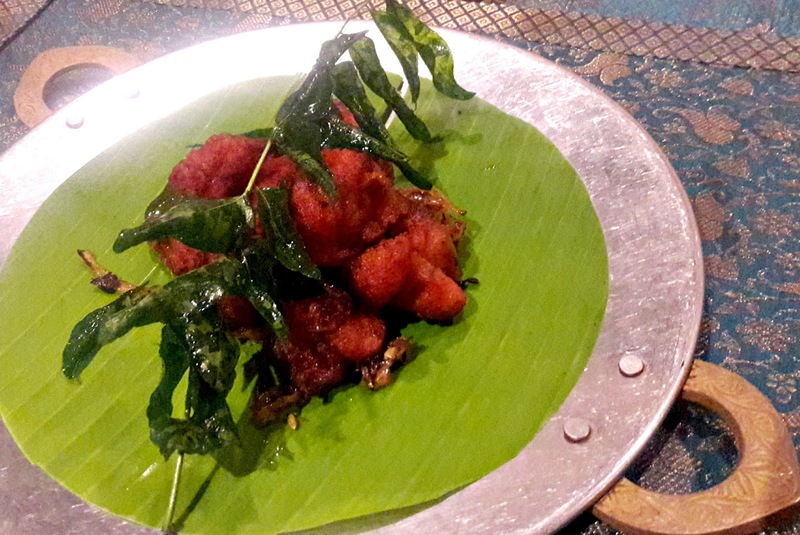 The kozhi porichathu (fried chicken) was more like the Indo-Chinese version complete with the red colour but the masala on the karimeen pollichathu was spot on. For ease of eating, it had been filleted (there were a couple of bones in it). All the spices had been made in-house and they tasted fresh. Chemeen roast was a dish of large prawns, tails intact and coated with a thick blanket of masala that included ground coconut. 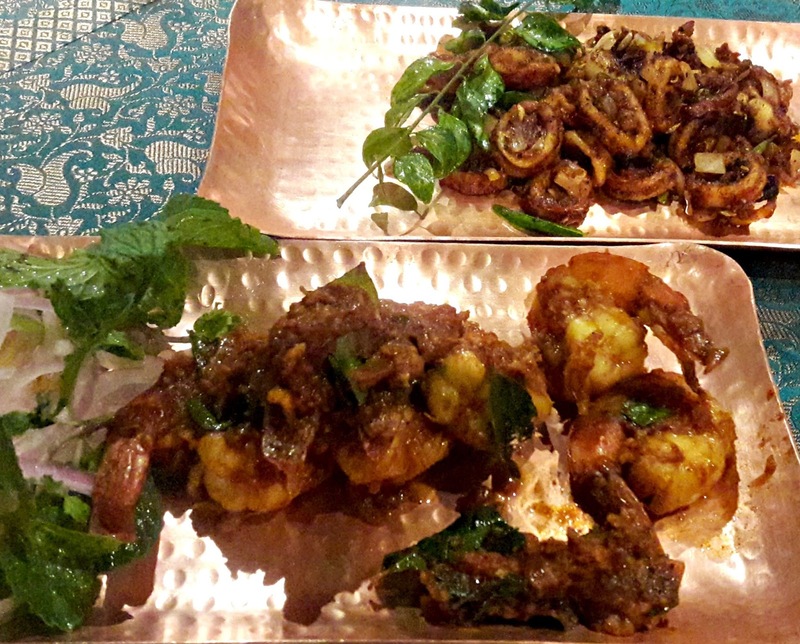 It was absolutely yummy, so also the squid pepper fry that was delightful. Kallumakkai arikadukka - mussels stuffed with rice powder and spices, is one of the delicacies from these parts and it's quite a laborious job to make it. We did have mussels, albeit a kallumakkai fry that had been sautéed with ginger and garlic. Not a fan of molluscs, I did try a piece and it was nice. 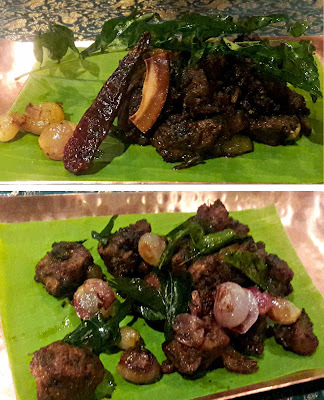 Main courses were porotta with beef kaya (raw banana) curry and a stand-out kadala (horsegram) curry, cubes of cooked and seasoned tapioca that accompanied a deliciously tangy Kerala fish curry and Tellicherry chicken biryani. The biryani, mildly flavoured and made with kaima rice was quite different from what I've had in Kerala but adipoli mutton, made according to the chef's secret recipe was yummy. The porotta too was thinner and less flaky than its Kerala counterpart, not that that stopped us from tucking in. 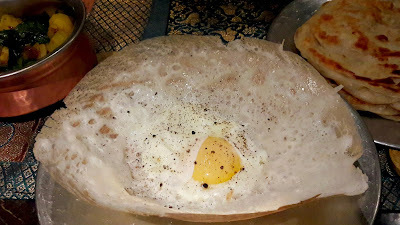 We were served egg appams but we opted for the plain ones. It had such a distinctive taste and after a bit of probing, Chef Mathur revealed that the batter had been fermented naturally. No wonder it tasted quite like sourdough, it was crisp and had the typical earthiness of freshly baked bread crust. 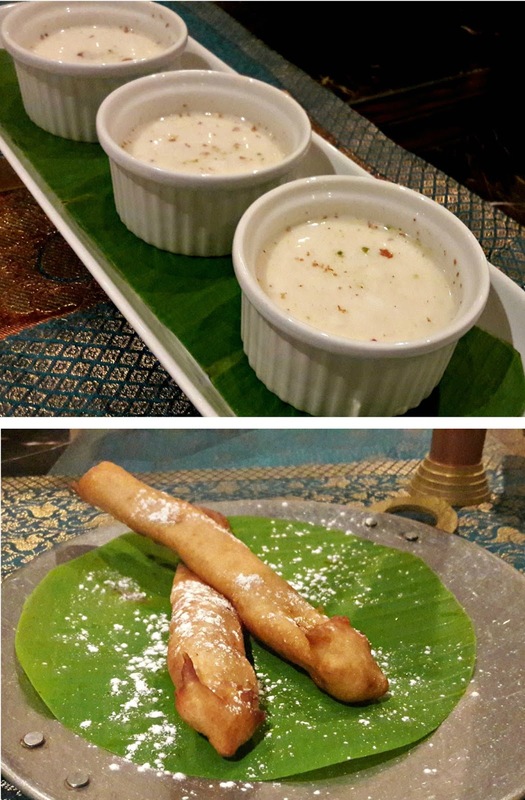 The menu is a rotational one, on the day we went, dessert was elaneer payasam and pazham pori. 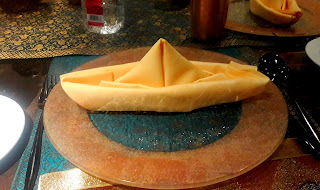 The payasam was very thin and the bits of tender coconut had been cut into such tiny dices. It had been flavoured with cardamom, almond and pistachios too. Secretly, I was quite glad to see the batter coated banana fritters as I don't eat bananas (and was rather stuffed by then) but my friends seemed to have quite enjoyed them so they must have been awesome. 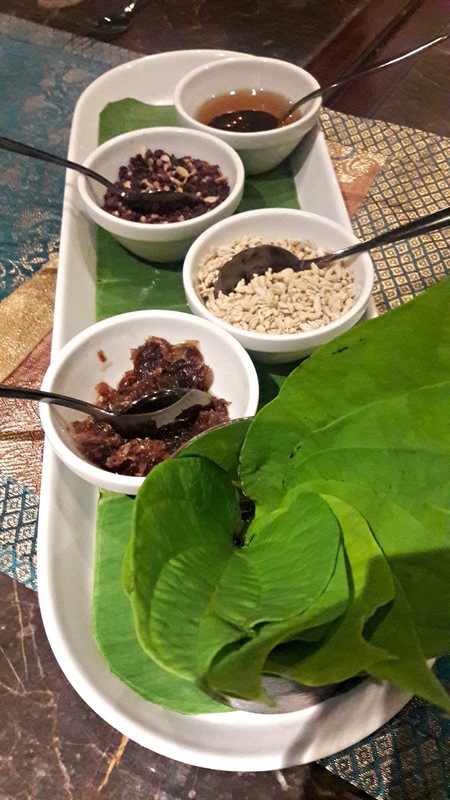 To end the meal, make your own paan from the d-i-y- platter but what I did miss was a glass of sulaimani tea! Coast of Malabar at Ayna will end on November 19th. Do reserve your seats at 044 2225 5555 before this boat sails away!